Peripheral quantitative computed tomograph (pQCT) for the measurement of larger laboratory animals like dogs, sheeps or primates. Evaluation of volumetric bone density, bone geometry and muscle parameter. 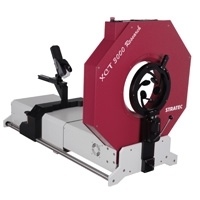 Compare XCT 3000 Research to other products.